Because of what Jesus has done for us, our identity and future is secure in him, so we are free to put on truth, seek reconciliation, give generously, build-up and encourage, and freely forgive. As this happens, the world gets a taste of the way life should, and one day will be. 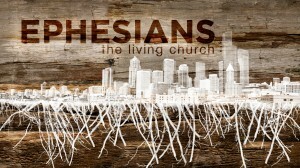 This week Pastor Adam unpacks Ephesians 4:25-32.